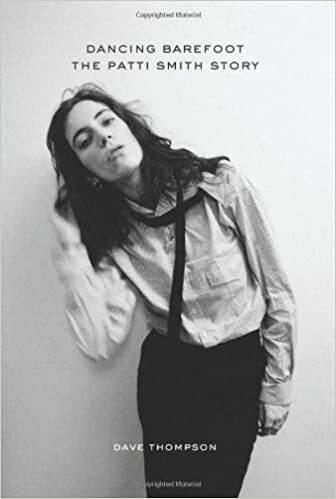 Dancing Barefoot is the full and true story of Patti Smith, widely acknowledged as one of the most significant American artists of the rock ’n’ roll era, a performer whose audience and appeal reach far beyond the parameters of rock. An acclaimed poet, a respected artist, and a figurehead for many liberal political causes, Patti Smith soared from an ugly-duckling childhood in postwar New Jersey to become queen of the New York arts scene in the 1970s. This book traces the brilliant trajectory of her career, including the fifteen reclusive years she spent in Detroit in the 1980s and ’90s, as well as her triumphant return to New York. But it is primarily the story of a performer growing up in New York City in the early and mid-1970s. Dancing Barefoot is a measured, accurate, and enthusiastic account of Smith’s career. Guided by interviews with those who have known her—including Ivan Kral, Tom Verlaine, Richard Lloyd, John Cale, and Jim Carroll—it relies most of all on Patti’s own words. This is Patti’s story, told as she might have seen it, had she been on the outside looking in.